After a short stay in a Phoenix hospital for respiratory distress, Muhammad Ali died tonight at age 74, finally ending a 32-year battle with Parkinson’s disease. Ali was “The Greatest” in the boxing ring as a three-time World Heavyweight Champion but he was also great in the way he lived his life, never walking away from controversy. 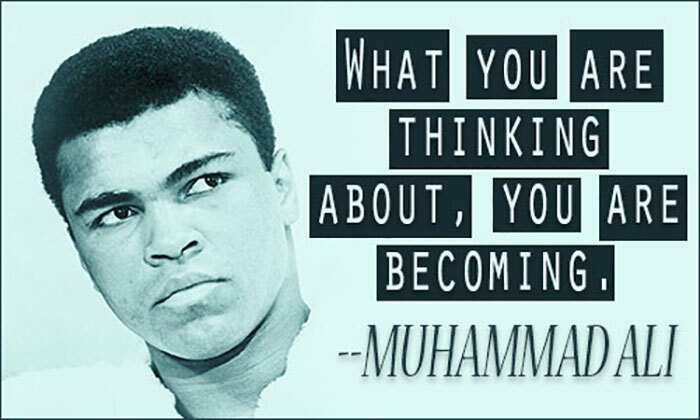 Born Cassius Clay Marcellus in Louisville, Kentucky, he started boxing at 12 and won Golden Gloves titles. In 1960 he represented the U.S. at the Olympics in Rome where he won a gold medal fighting as a light heavyweight and shortly thereafter, he turned professional. In 1963 he converted to Islam at age 22 and changed his name to Muhammad Ali. Drafted to serve in the Army in Viet Nam, he refused due to religious reasons but was convicted of draft evasion. Sentenced to five years in jail, he was stripped of his boxing title. Eventually released on appeal, he began speaking out on the war and in 1971 his appeal was upheld by the Supreme Court in an unanimous decision, saying that the Department of Justice had improperly told the draft board that Ali’s refusal wasn’t motivated by religious belief. Following his boxing career, Ali took on a humanitarian role, traveling the globe and sponsored many philanthropic causes, and President George W. Bush honored him with the Presidential Medal of Freedom in 2005. The Muhammad Ali Center in Louisville acts as a forum for promoting tolerance and respect as well as honoring his life. Living in Arizona for the last part of his life with his wife, Yolanda “Lonnie” Williams, in 1997 the Muhammad Ali Parkinson Center domiciled at St. Joseph’s Hospital and Medical Center in Phoenix was opened. He supported it and many other charities over the years with large fundraisers. He will long be remembered not only as a supreme athlete but as a courageous, compassionate and generous human being.